Lawrence (Larry) Martin, 70, Spearfish, SD passed away February 2 at the Dorset Home, Spearfish. Larry was born March 1947 in Spearfish to Tracy and Ethel Martin. He graduated from Rapid City High School in 1965. 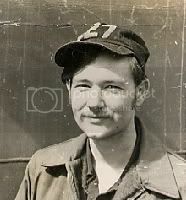 He served in the Navy from 1965-1975 on the submarine USS James Madison. Larry joined the IBEW in 1975. He spent much of his career as an electrician in the Bureau of Reclamation on the Grand Coulee, Davis, Fort Randall and Parker Dams. He retired in 2008. Larry was a member of the American Legion and the VFW organizations. He was also an avid NASCAR fan. Larry is survived by brothers George (Sue Hall-Martin) Martin, Spearfish, SD, Don (Peggy) Martin, St. Paul, MN, and Rod (Joan) Martin, Rapid City, SD. He is also survived by two nieces, three nephews, one great nephew,and one great niece. Larry leaves many cousins and life-long friends.